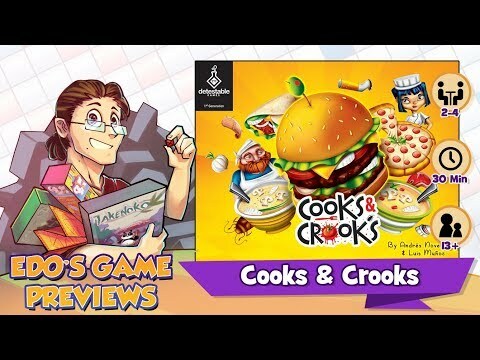 In Cooks & Crooks you'll be part of a group of chefs that don’t mind playing dirty! Sabotage your opponent’s efforts by stealing their supplies, swapping ingredients in their ovens or even by adding a nasty ingredient to their recipes. To win, you'll have to score more points by preparing different dishes, all while evading the proverbial fly in your soup, or worse!